My Transplant Place was designed to assist you from your initial evaluation through receiving a transplant and beyond. Here, you’ll find educational videos, documents, links, resources, and much more to help prepare and guide you. 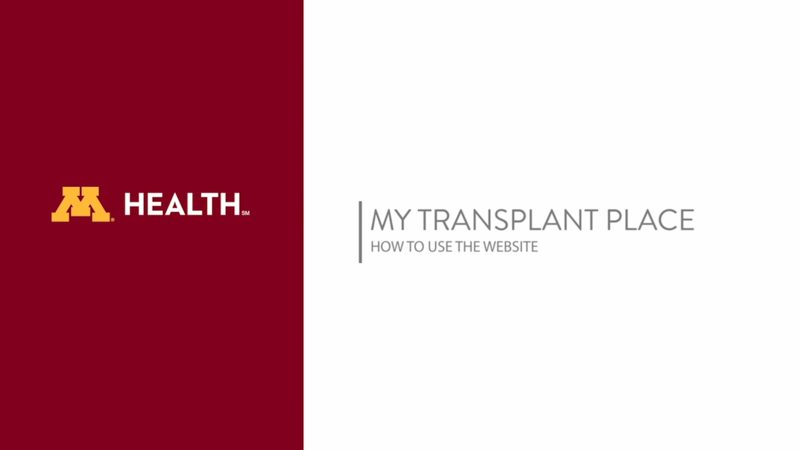 You can access My Transplant Place 24 hours a day, 7 days a week, on any device. My Transplant Place, information to support you as you take charge of your health. The Middle Name field is required.